Interplay provides access to play and leisure opportunities for children and young people with additional needs. aged 2-25 who find it difficult to access the same mainstream play, leisure and social activities as their peers. We work with children at all levels from profound and multiple disability, learning disabilities, physical impairments, sensory impairments, autism, adhd and challenging behaviour - our main criteria is that without additional support these young people would not be able to gain access to play and leisure opportunities. We run weekly term time play provision, youth clubs, summer schemes and residentials. 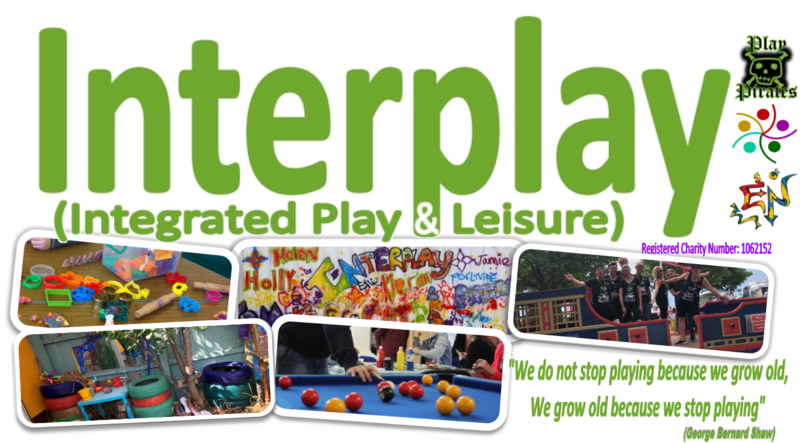 Interplay aims to ensure that the standard of play and leisure provision is exemplary, particularly in projects or activities that are organised by Interplay. To do this, Interplay promotes best practice in recruitment, employment, training, supervision and monitoring of all it’s workers.